Create a unique, low-maintenance, natural space with professional solutions from Stem & Stamen. Stem & Stamen has the capacity to deliver large and unique turn-key interior projects, supporting each stage from the early design to installation and post-sale maintenance. 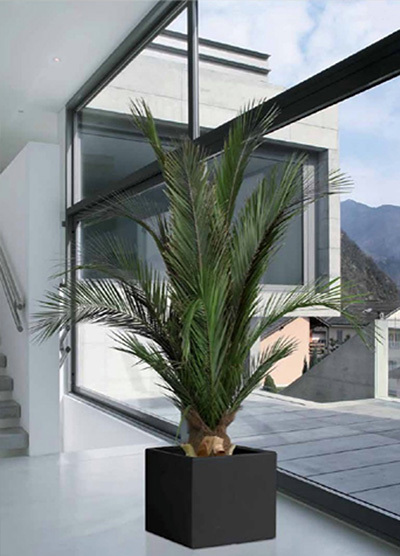 Our preserved plants are extremely resistant and long lasting. With the right care, you can enjoy your natural product for years. The stem & stamen natural products do not require pruning or watering. The only care the product requires is occasional removal of dust, ideally with an air spray, air blower/dryer or alternatively dusting with a soft cloth. Avoid prolonged exposure to direct light sources including sunlight and artificial lights. Excess exposure may lead to damage in some species.